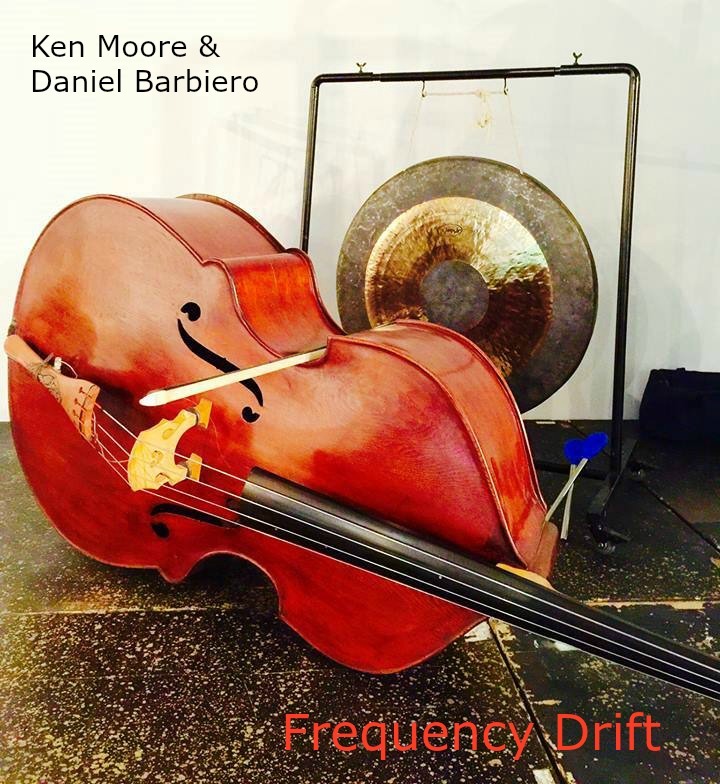 pan y rosas release frequency drift by daniel barbiero and ken moore! daniel barbiero is a double bassist with an interest in gestural, modular and sound-based composition and improvisation in acoustic and electro-acoustic environments. he frequently works with improvisational dancers and writes regularly on music and related subjects. ken moore is a percussionist living in northeast ohio. plays synthesizers, piano, bass guitar, udu and cajon drums, didgeridoo and glockenspiel. also does private recording and recently some video. frequency drift is a collection of seven collaborative compositions for double bass and tam tams. the compositions were created sequentially: the double bass parts were composed and recorded first, after which the tam tam parts were recorded and mixed with the bass parts. the appeal of the project lay in the opportunity to create work exploring the compositional possibilities opened up by the subtle timbral dissonance between the double bass’s bowed strings and the tam tams’ struck and rubbed metal. get it here!